This add-a-stop Dahl valve makes it so you can perform maintenance on your water outlet without having to shut off the water. 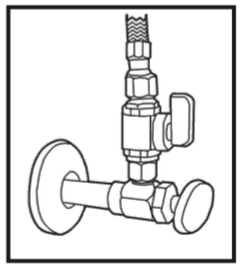 When an existing stop valve is leaking, or not working properly, and it would be difficult to remove it, the Add-A-Stop Repair Valve is the perfect solution. It piggybacks on the existing stop, so there is no cutting or resoldering needed. 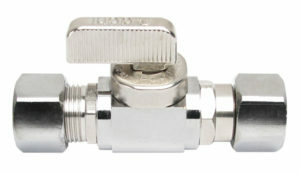 If the old stop valve is leaking just slightly, you can just disconnect the supply hose, screw on the Add-A-Stop to the old stop, and reconnect the hose. If the old stop cannot close at all, turn off the water supply elsewhere, and then connect the Add-A-Stop to the malfunctioning stop valve. Then connect the supply hose to the new valve, turn the water back on, and you’re back in business! The Add-A-Stop is a quick and easy solution that every plumber should keep in their truck or van.